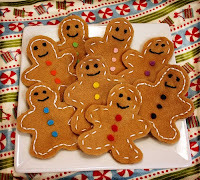 I wish I could take credit for these sweet little guys (and if you know me at all, you know I am going to attempt my own!) But I found them on Oh So Happy Together! They’re a perfect addition to our Felt Doughnuts, Felt Pizza and Felt Sandwiches, most importantly, they look easy enough for me to attempt even with my poor sewing skills! For more of our felt food creations click here! Serve on cute cookie tray! Here’s what mine turned out to look like. Not too bad! So much fun. I really do need to work on our felt food collections. These would be so popular. okay I think I am going to slide out and go get some supplies right now if anything is open. Great Kwanzaa gift for tomorrow.